See here for help using the Android App. 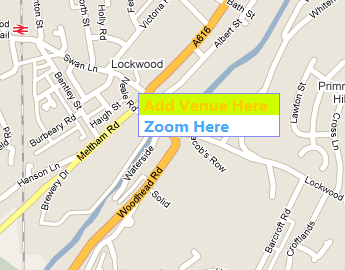 To view a venue, zoom to the right area on the map using your mouse scroll-wheel or using the zoom control. 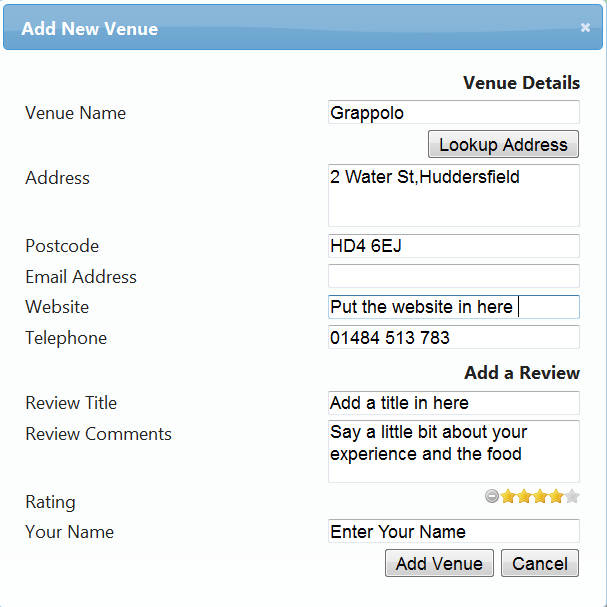 Click on the marker, and it will show a bubble box with the name and rating for the venue. 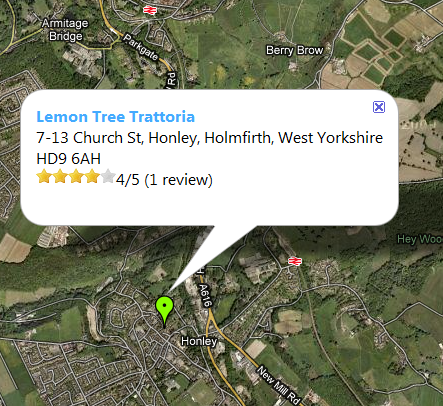 Zoom the map to roughly the right location, then right click and choose "Add Venue"
Enter the name of the place you want to add, then click "Lookup Address"
4 – 5 stars: Knowledgeable and friendly staff. Or a specialist coeliac shop. Great food. 3 – 4 stars: Staff who are knowledgeable and can help pick out GF items with no fuss. 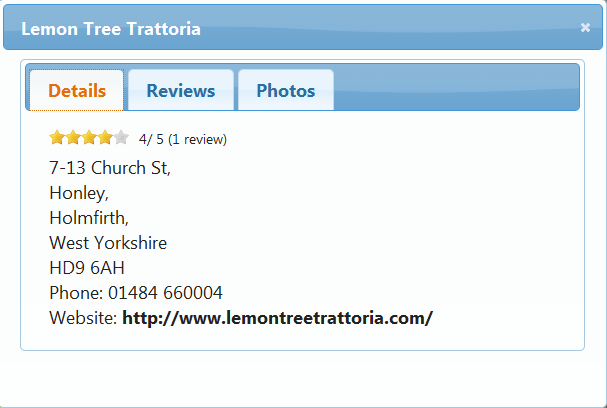 1.5 – 3 stars: Staff don’t have knowledge of coeliac disease or requirements, but are happy to learn. Coeliac options may be very limited. Some cross contamination could be on the cards. 0 – 1.5 stars: Very poor. No knowledge, few or no coeliac options. Unwilling or unable to adapt menu to help. Enter your name, that will be shown with the review. 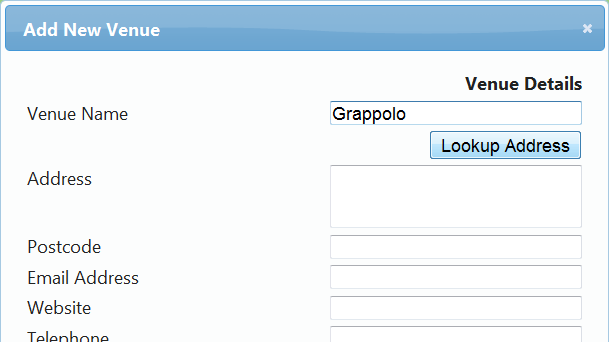 Click "Add Venue". The venue will be queued for addition (and will not show up immediately).